The Process Ecology Newsletter includes updates and news relevant to the energy industry regarding regulatory updates for air emissions, technical information related to process simulation as well as case studies and best practices in process engineering. 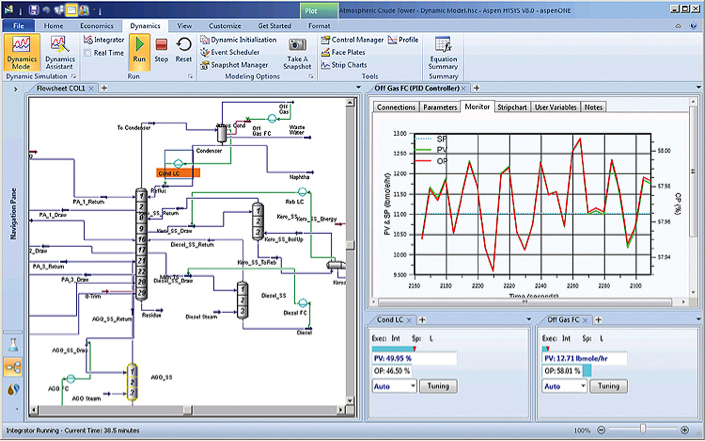 Dynamic Process Simulation: When do we really need it? Methanol Injection Rate for Natural Gas Hydrate Prevention – be careful what simulators tell you! FlareAdvisor: estimate and report greenhouse gas emissions from Flaring and Venting and identify opportunities to reduce emissions. Process simulation is the representation of industrial processes by means of the application of mathematics and first principles (i.e. conservation laws, thermodynamics, transport phenomena and reaction kinetics). Steady state models have been widely used in the industry, and have become a required practice. Steady state modeling is key for process conceptualization, design and evaluation and it is indeed a mature technology. However, steady state is an idealistic definition used by engineers as a representation of “design” conditions which are not always accomplished due to changes in raw materials, product specifications, changes in capacity due to marketing requirements, and the inherent dynamic behavior of processes. This article will help the reader to easily identify typical engineering problems where dynamic modeling would be an ideal tool to answer their questions. Methanol Injection Rate for Natural Gas Hydrate Prevention: be careful what simulators tell you! 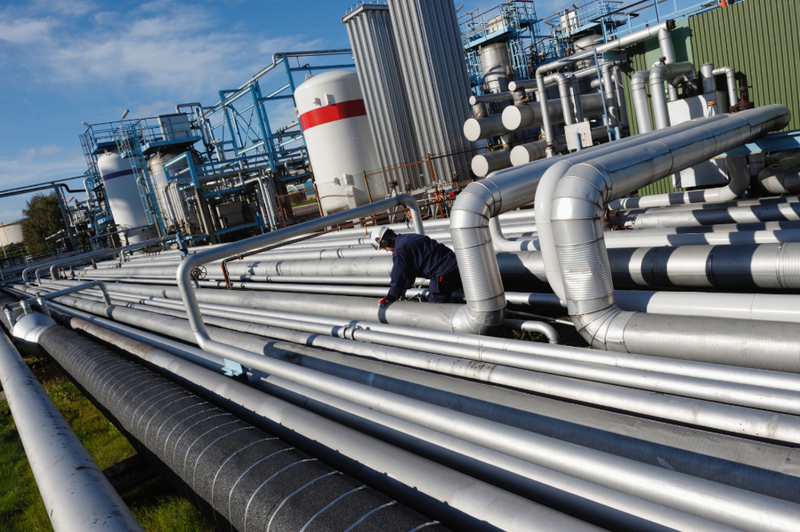 The formation of hydrates in natural gas processing facilities and pipelines is a critical issue as hydrates can plug equipment, instruments, and restrict or interrupt flow in pipelines. Generally, hydrates will form when the temperature is below the hydrate formation temperature, normally with “free” water present, depending on the gas composition and pressure. Methanol (MeOH) is widely used as an inhibitor in natural gas pipelines, particularly in cold climate facilities (e.g., Canadian environments). In these difficult environments, methanol injection is the most economical solution for preventing hydrate formation and is often the only option. The determination of methanol injection rate can be a very challenging task for engineers -mainly because of methanol partitioning: the injected MeOH may partition into three phases: (a) the aqueous phase, (b) the vapor phase and (c) the hydrocarbon phase. The amount of MeOH to be injected must be sufficient to suppress hydrate formation in the aqueous phase, and also to replace methanol “losses” to the equilibrium vapor and hydrocarbon liquid phases. In this article, we demonstrate how the GPSA manual and process simulators can be used to overcome these challenges and calculate the required methanol injection rate. A new paper with contributions from Ecole Polytechnique de Montreal and Process Ecology has been accepted for publication by the Applied Thermal Engineering Journal. "New analysis method to reduce the industrial energy requirements by heat-exchanger network retrofit: Part 2 - Stepwise and graphical approach". Read the foundations in Part 1 of the paper. Easily track and report accurate flared and vented gas volumes using the FlareAdvisor web-based system. FlareAdvisor is an innovative web-based software that is designed to assist the Upstream Oil & Gas sector estimate and manage flaring and venting volumes and associated air emissions from operating facilities. FlareAdvisor brings together the benefits of a modern user interface with rigorous engineering calculations that will meet the most stringent requirements for reporting. Copyright © 2015 Process Ecology, All rights reserved.